Every city has its secrets and Downtown LA is no exception. If you dare to veer off the beaten path, you’ll discover a hidden world lurking beneath historic buildings, down mysterious staircases, behind old wooden walls, and in the dark recesses of derelict parking lots. 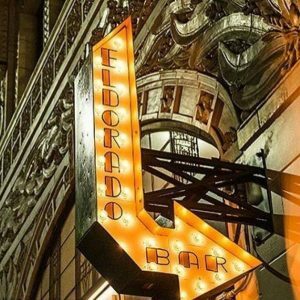 Once you figure out how to get into these arcane spaces, you’ll be greeted by intriguing offerings like exotic craft cocktails, sumptuous Art Deco interiors, cool retro decor, groovin’ entertainment, and even arcade games. It’s time to lift the veil and discover DTLA’s secret bars and speakeasies! If you’re hankering for that authentic speakeasy vibe, then get ye to The Varnish. Housed inside a refurbished storage room in Los Angeles’ oldest public house – Cole’s, The Originators of the French Dip Sandwich restaurant in downtown L.A. – The Varnish pays tribute to both classic and updated cocktails with a focus on thoughtful service and hospitality. Groove to live jazz and discover an unexpected memorial to Charles Bukowski in the men’s bathroom. To find this rock-themed speakeasy, you’ll first have to enter Bar Clacson at 351 S. Broadway. As you walk through Clacson, look for the sign that says “Highballs” with an arrow. Follow the arrow and you’ve made it to The Slipper Clutch, a fun and wacky hideaway featuring 80s-style neon lights, pinball machines, and Pac Man arcade games. Enjoy classic cocktails amidst the glowing graffiti while rocking out to a retro soundtrack. 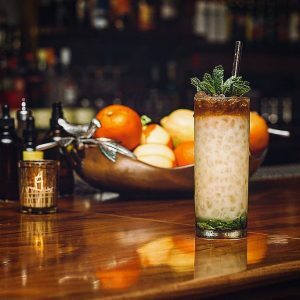 Tucked behind Chinatown’s Blossom restaurant, Songbird is a coffee shop by day, morphing into a moody speakeasy by night. Brought to you by Scott Chen, who also operates Apt 503 in Koreatown, the cocktail program is equally exciting and ambitious. Unlike other craft cocktail programming that focuses on the more popular spirits, the Songbird bar program has a special section that focuses on bitters and amari, highlighting and featuring the depth and complexity of an often overlooked category in the cocktail kingdom. The space offers a slew of artistic driven live performances, showcasing music that canvases all genres. As you descend the marble staircase into this subterranean bar oozing with history, you’ll feel transported back in time to another era. The expansive space extends over multi levels, and twists and turns into secretive little nooks and crannies. 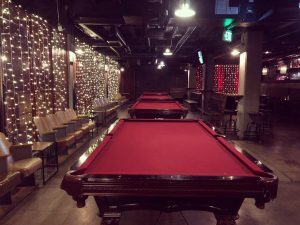 The lure of reasonably priced craft cocktails, coupled with regular live jazz, billiards, and occasional dancing has established The Rhythm Room as a popular DTLA hangout, steeped in the classic speakeasy spirit. Located in the basement of El Dorado Lofts in DTLA’s Historic Core, this formerly dreary space has been transformed into a chic speakeasy, replete with tufted leather booths, intimate small tables, deep mahogany-colored wallpaper with gold embellishments, and provocative paintings above the booths. Classy but not pretentious, the cocktail program features house-made bitters and syrups to create a menu that is both unusual and fun. This secluded, buzzy lounge is known for new twists on classic cocktails with a midcentury-modern flair. A word of warning before you get too excited – while Birds and Bees is located at 207 South Broadway, you have to enter from the parking lot at 215 South Broadway. After you find the door, get ready to descend into a concrete tunnel and emerge in a space that looks like a bomb shelter tricked out with mid-century modern furniture. The excellent cocktails and cool atmosphere will make it all worthwhile. Crane’s Bar is an intimate saloon hidden away in an abandoned bank vault in the old National City Bank Building. Walk down the stairs and you’ll enter a massive door leading into the vault, to be greeted by twinkle lights, DJs, and a new cocktail menu featuring some original Crane’s favorites along with some fresh surprises. Sop by for the laughs at their monthly comedy showcase. No cover charge. Who knew! Tucked beneath the Dorothy Chandler Pavilion and hidden inside swanky Kendall’s Brasserie lies a cool craft cocktail bar. The BoardRoom celebrates an era of post-war French artistry, invention, and imagination – a lounge reserved for those who love the art of libations and the flow of song. Parking is available adjacent to The BoardRoom at The Music Center garage. Discounted rates starting at 8PM for $5. 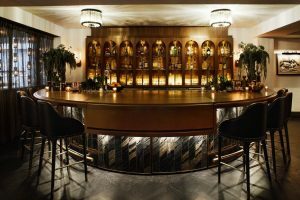 Nestled off the Hotel Figueroa lobby mezzanine, Bar Alta is a 26 seat bartender’s table cast in the warm glow of Art Deco-style and cut-glass chandeliers. Performance art meets mixology here – bartenders use tools like centrifuges and smokers to create some of DTLA’s most imaginative libations. Note that reservations are required. Ultimate discretion is the order of the day at Casbah, Bar Alta’s private room. Accessed by a sliding wooden bookcase that serves as a secret entrance from the Casablanca Suite, the space, which accommodates 50 people, is covered in mirrors and outfitted with leather, stone, natural wood, and luxe fabrics to create a one-of-a-kind, high-style hideaway. Follow the secret staircase and you’ll find Pacific Seas, a tropical homage to the Golden Days of Travel. When Clifford Clinton opened the original Pacific Seas in 1932, he sought to nourish the public’s spirit, deeply demoralized by the effects of the Great Depression, believing that the intrigue of travel to far off places could give his guests a respite from their daily troubles. Today, Pacific Seas revives Clifton’s original vision. Through the Art Deco Map Room, guests find a celebration of the exotic, the mysterious, and the unknown; through a uniquely Californian take on the romance of South Seas Culture. 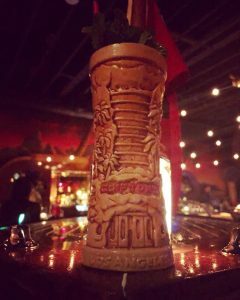 The tiki-themed bar includes a full-sized boat, tiki-god totems, hanging lights, a rum-soaked cocktail menu, and live performances ranging from Polynesian dancers to 40s-style bands.